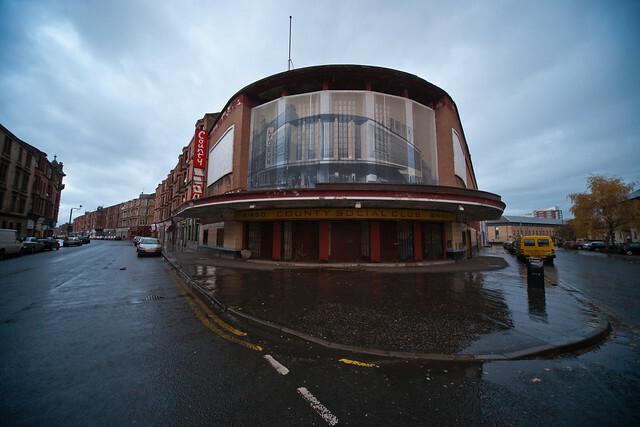 Govan’s Lyceum Cinema dates from 1938 – at the time it was a stunning modernist cinema with a curved backlit wall of glass, and seated 2,600. 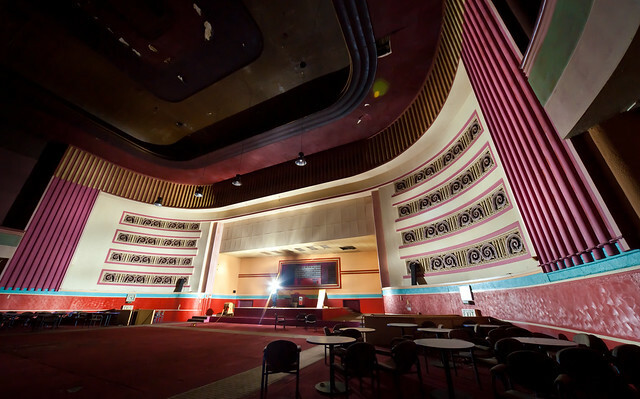 Bought by County in 1974, it was split in two, with bingo in the stalls and a 480-seat cinema in what was the balcony – the beautiful circular entrance was partitioned. 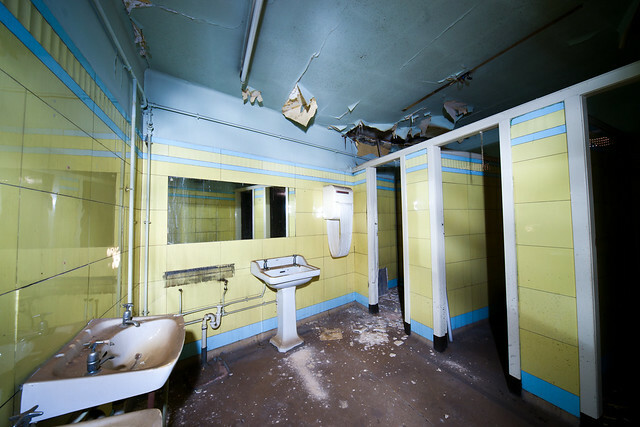 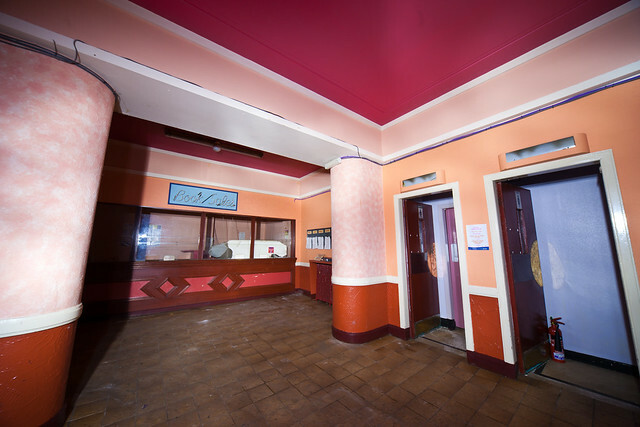 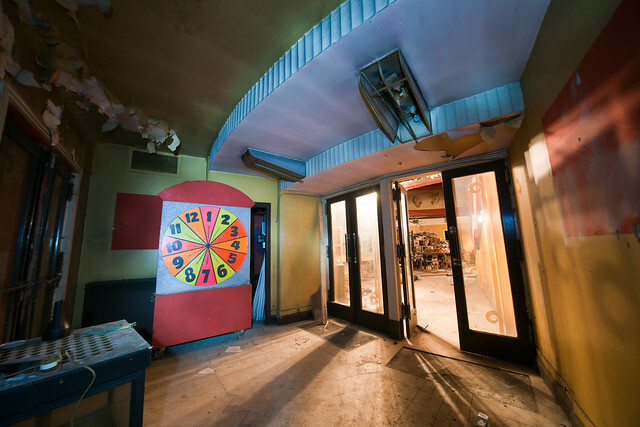 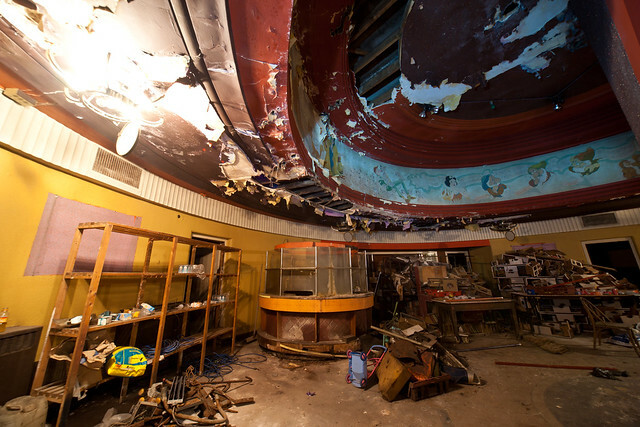 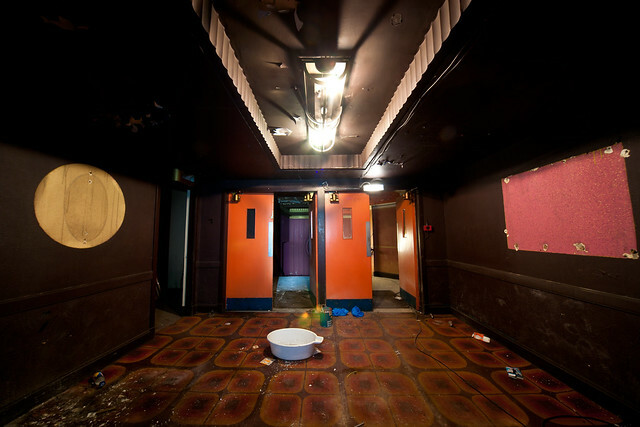 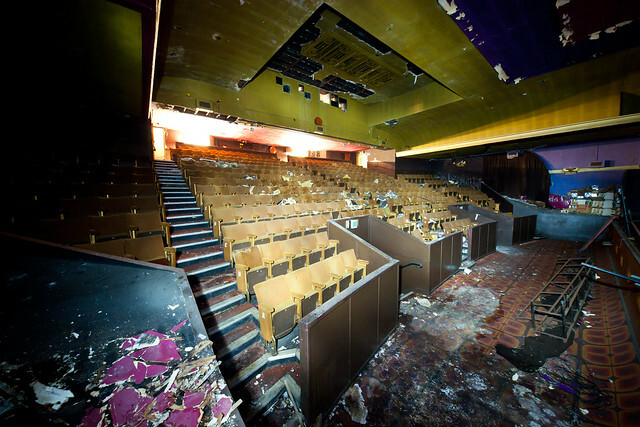 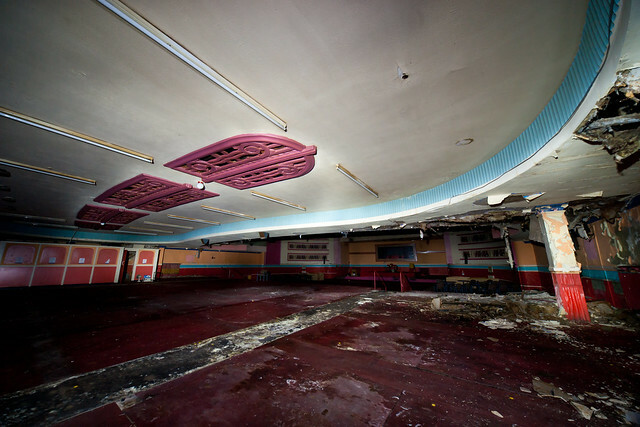 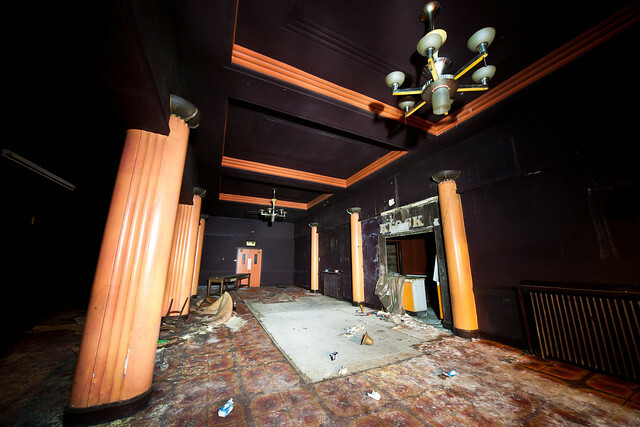 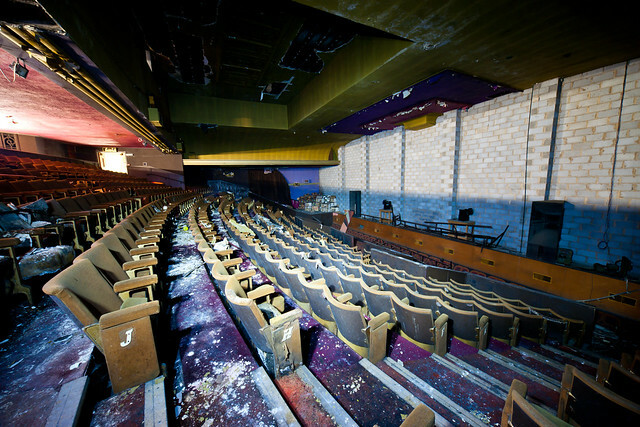 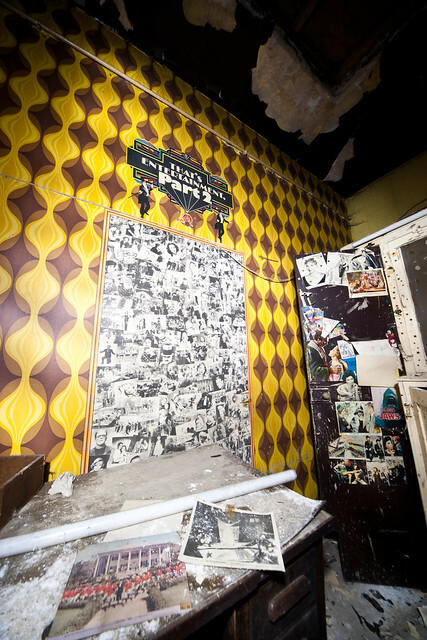 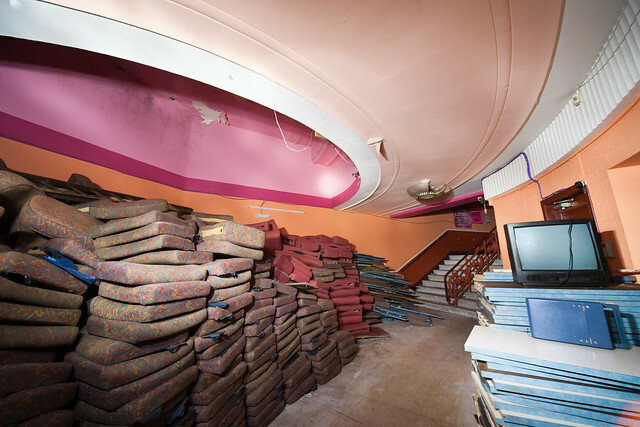 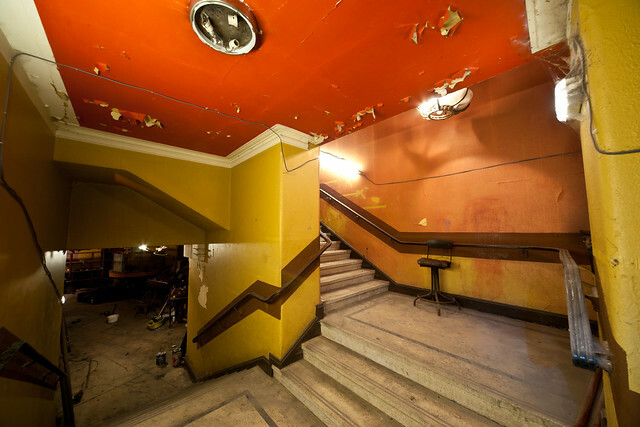 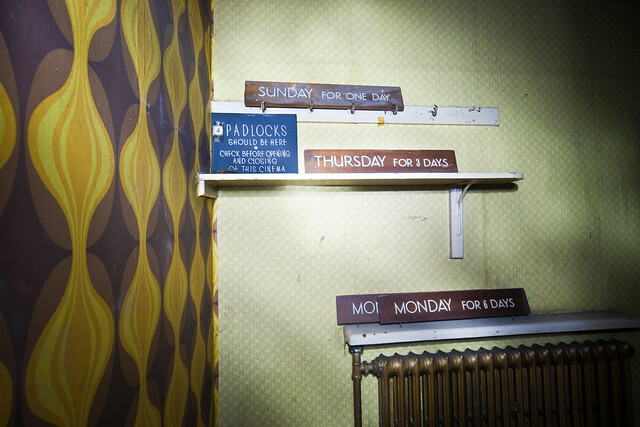 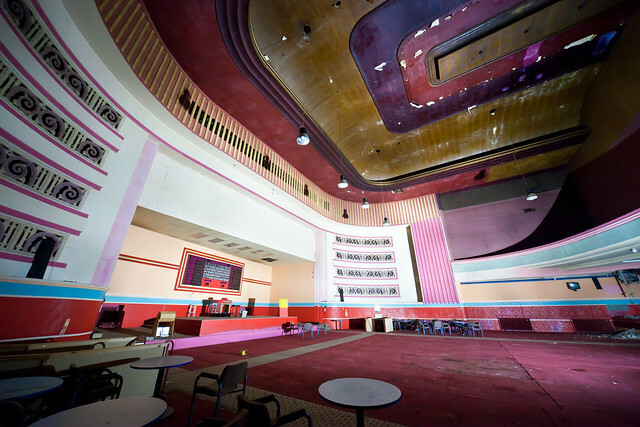 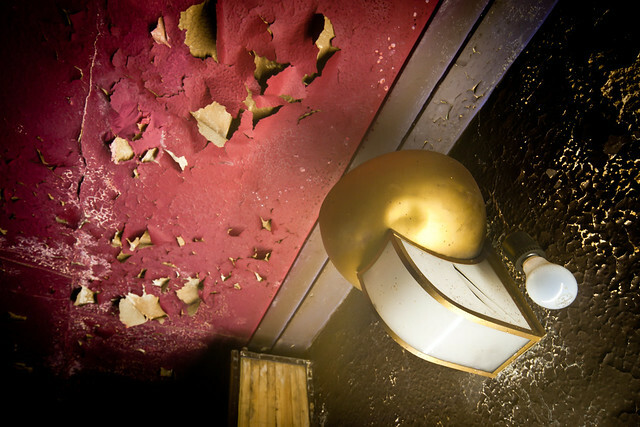 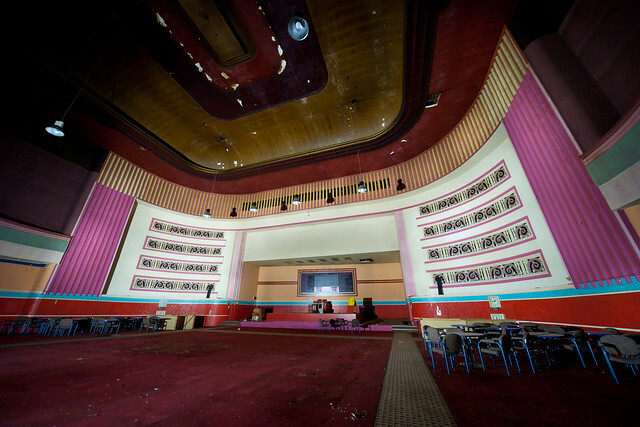 County were bought by Gala in 2006, who closed the bingo side – the cinema has been unused since then, and getting pretty derelict, but the new owner has plans to redevelop it – reopening the cinema side, and using the stalls as a performance space. 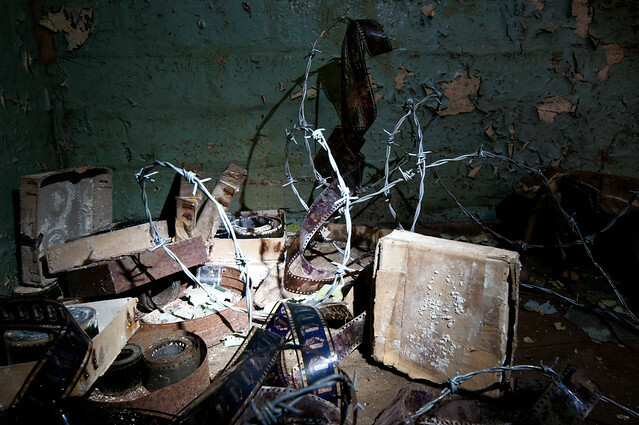 This was a by-invitation visit to take pictures to help with bids for funding. 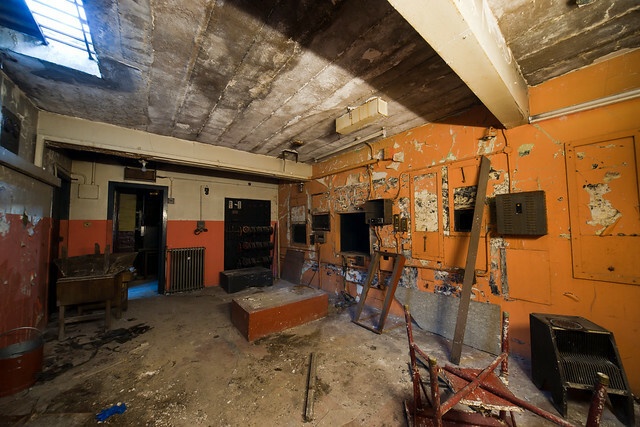 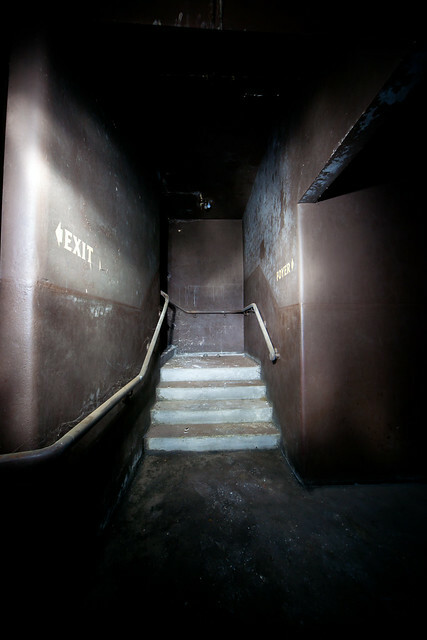 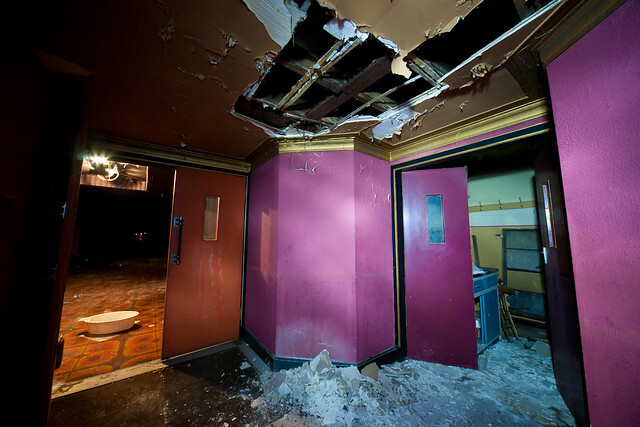 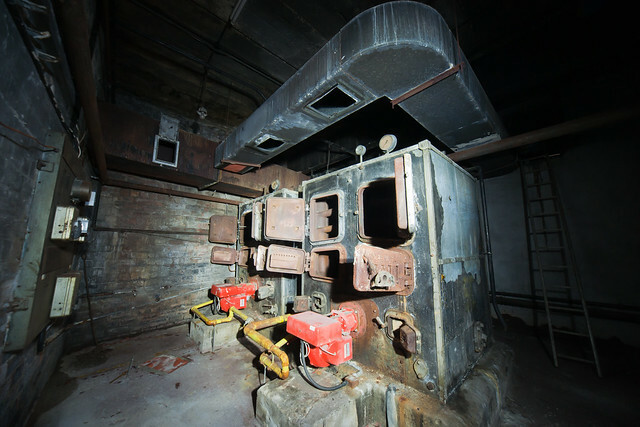 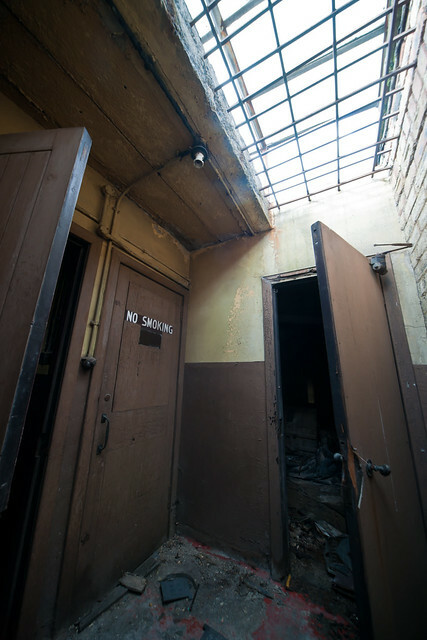 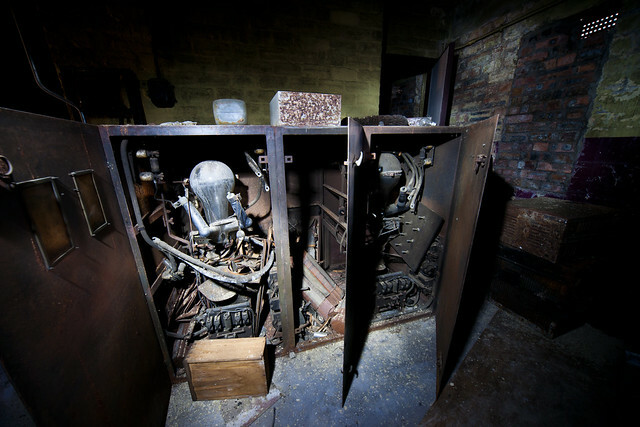 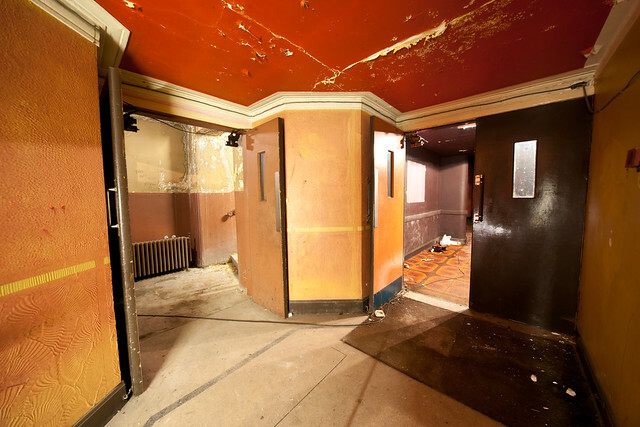 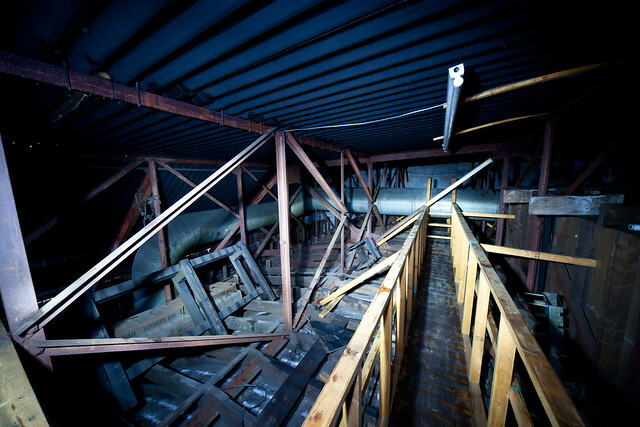 Up to the projection booth – no projectors, but I found them under the cinema floor.